Maggie Kavanagh is a certified Hatha Yoga Teacher. 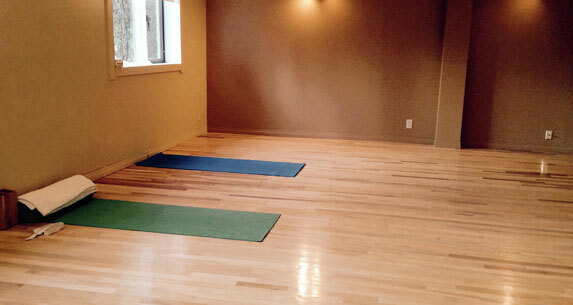 She has 18 years of teaching experience and was owner and operator of The Yoga Haven in Calgary, Alberta for 15 years. Props are used in all classes to assist students of all levels in yoga asanas (poses). She offers weekly classes to the local community Tuesday and Thursday 9:30am-11:15am. $10/class (first class complimentary). Guests are welcome to join in on these classes. You can see Kokanee Glacier and Kootenay Lake from the Studio windows through the trees. The studio itself is 554 square feet (21.5’ by 22.7 feet’). It has a washroom conveniently located right beside it. The Studio also has its own private separate entrance to the outside. 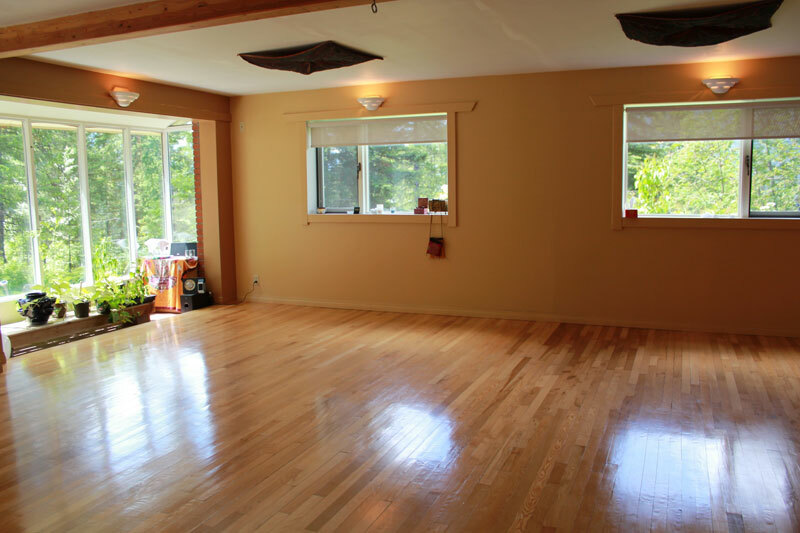 The studio can be rented for different functions, such as Art shows, Gatherings, Corporate Retreats, Workshops, Seminars, Yoga/Body Work/Massage Retreats, etc. Folding tables and chairs can be made available for use. Also Yoga props are available for Yoga Retreats. Please contact Maggie Kavanagh 250 777-4868 for more information.